In my last career of being in professional sales, I had multiple first hand experiences of working with Headhunters. I started using their services when I first moved to San Francisco in 1993 right before the Internet boom. I knew I wanted a Sales position, I just didn’t know how to get one or where to look, so I learned quickly that they were a great solution to looking for a job. I have a deep appreciation for what they do for a few reasons. One…is that they had access to opportunities that I couldn’t find on my own. Back then the Internet was new and it definitely wasn’t what it is now, nor did we have social networking sites such as Linked In to be able to network online. As part of their service they also had the ability to give me some insight about the Hiring Manager I would be interviewing with, which made me feel a little bit more comfortable before going to the first interview. They were also able to give me information about the corporate culture of the company I was considering employment from, so I could learn about the environment and potential personalities I would be coming across. In regards to interview questions, I received suggestions of some of the basic questions I should make sure to ask, and what the stages of interviewing might be depending on the company and the position. As a Career Coach I have the pleasure of meeting a number of really great Headhunters. Some of what they share with me includes things like the mistakes that candidates make in the interview process. They also shed some light about the misconceptions that job seekers have, and how unprepared they sometimes are. I approached a few of them about allowing me the opportunity to facilitate an interview so I could share what they know with you. I now have the pleasure of sharing this great and very necessary information. While you are reading or listening to these interviews, keep an open mind. For all of you job seekers out there, it’s my hope that you not only find a new position, but also that you will also be happy and satisfied with the decision you made. My intention with these interviews is to support you in learning, getting answers, and being more prepared for that next interview. My first interview was with Dara Rosenkranz-Benveniste who is currently a Senior Associate for Heidrick and Struggles. She has been in Staffing and Recruiting since 2003 and has worked for three different search firms, so with ten years of experience she is an extremely reliable source. The industries she finds candidates for include Life Sciences, Pharmaceuticals, Industrial, Manufacturing, Aerospace, and Chemicals. 1. What would you say your role is as a Headhunter? Clients hire my company to identify and screen qualified candidates for specific roles. My role is to work with the client, understand their organization, the position, and the necessary qualifications to identify the right candidates. I am also screening for the “soft skills” to determine whether they would be a culture fit with the organization and be able to adapt to and grow with the company. 2. What are the advantages of using a Headhunter for the client/company looking for a candidate? The advantages are that we not only have a great database of candidates, but we also do original research to identify and pursue candidates. We are well networked in our industry. We tend to be a good external partner as the client determines their needs and are able to penetrate target organizations in ways that might be more difficult for our clients. Essentially, quality, pre-screened candidates are delivered and we will often look at the market differently than our clients and are able to provide “outside the box” candidates who may be what they need. 3. What are the advantages of using a Headhunter for a candidate? We have our fingers on the pulse of what is happening in your industry. Even if someone is not actively looking, they should respond to recruiters to gain market intelligence. Are you being paid at your market value? Are your competitors growing faster? Also because we may eventually present you with a role that is perfect for you and/or you might know someone who is perfect for a job and can help out a friend or colleague. 4. What would you say the differences are between what a career coach can offer vs. a headhunter? I cannot get to the crux of what a candidate should be doing, what they are passionate about and direct them towards the right opportunities. I find out their qualifications and whether they check the boxes on what we are looking for, but there are candidates who may want to grow in other areas, and I am not qualified to help a candidate figure out what they want to do. Individual coaching makes more sense for candidates who are looking to change careers, be better at their jobs and become more promotable. 5. What’s the most important thing you look for in a candidate? There are a few different things I am looking for. Sometimes I can learn a lot from them from just talking with them on the phone. Clarity for example, it’s so important to articulate what they do and what they have accomplished. I’m also looking for good written and verbal skills. Their resume should be clear and should show a progression of responsibility. I need to see measurable achievements such as how they grew a team, increased sales, and profit and loss responsibility. What I see then is as a person who has moved up in their career. I’m visually looking for those things. When I’m talking to them, they need to be able to come across as energetic, interested, and open. I want to find out if this is someone I can work with and represent to the client well. If they come across with low energy, I won’t feel good about presenting them. Especially when they are interviewing for a position where they would be dealing with people. Across the board, they need to be articulate and can show that they are progressing in their career. 6. 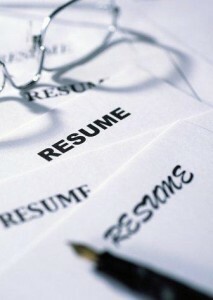 When looking at a resume, what are the 5 most important things you are looking for? Leadership – Mentoring and building teams. Leadership in a number of different ways. That they have built and lead teams. I talk to them not just about the number of people they have had reporting to them, but the opportunity to mentor others and what they‘ve done in helping others get ahead. That is leadership more than having two thousand people report to you. It’s impressive if those reporting to you have been promoted under you, so I also look for how they mentor and teach others. This information doesn’t necessarily need to be on the resume, but I will ask them these types of questions while we are on the phone. Well-written resume – I immediately notice misspellings. A suggestion is to have someone else look at it if you are really serious about looking for a new position. Measurable results – It’s helpful if it’s on their resume, but I can find also find out while I’m talking to them. Although if it is on the resume I will call them quicker. Degrees – in some cases I look at their degrees. I look to see if they have them and also maybe additional training to keep fresh if it’s applicable. Such as a masters in black belt, Sick Sigma, etc. Overall I look to see what they are doing to continue their training. 7. What is your opinion about someone who has moved around a lot in his or her career? If they have had a lot of moves in their career I see it as a red flag. If they have, then there should be a sentence on their resume as to how the company went under. I also won’t call someone if they have moved every year or two, mostly because the client won’t be interested. They need to explain why they went to the next place, even just a sentence or bullet point. I can’t speak across all industries where people move around more, but our clients are really turned off by it. If they can talk me through it in a way that makes sense, I can make an argument for them, but it tends to be problematic. 8. What frustrations do you experience in your job as a headhunter? My frustrations tend to be with the clients that don’t have internal agreements of what they are looking for. HR will say one thing and the Hiring Manager says something else. Internally if they aren’t communicating well, or are being unreasonable, it makes my job a challenge. So if there is no internal alignment, they need to figure out what they are willing to give up because they might not be able to find the perfect candidate. 9. What frustrations do you experience when dealing with candidates? If a candidate is interviewing elsewhere and they are using us to leverage another opportunity. I will always ask if they are interviewing. Timing can be an issue. I don’t mind if they are interviewing, I mind when they don’t tell me, because the client is excited to meet them and then they back out of the process. It’s also frustrating when they aren’t honest. Recently I had a finalist candidate who lied about his education. We verify it, and he didn’t even need the Masters degree he said he had for the job. It would have been fine. The fact that he lied made the client angry. It was embarrassing. If a candidate is dishonest on their resume, we will no longer stand by them. We are one of the biggest search firms and we won’t work with him again. Everyone will make himself or herself sound great but make sure it’s weighted by honesty. 10. What supports the interview and hiring process to go smoothly? The searches that go the most smoothly are the ones where the clients are very communicative and well aligned internally, and the candidates come forward and they are engaged in the process and excited about the opportunity. Those are the ones that just go well. It’s a people business. So I will always have to deal with personalities and there will always be challenges, but the one thing I think is important is communication. Between the candidate and the client, and us and the candidate. It’s important that everyone understand what the job is and that everyone enters the process with integrity. 11. What are some tips that you could give to job candidates, especially the ones that are out there interviewing but they can’t seem to find a job? If you’re not having luck, ask the recruiter you are working with or go to a coach and figure out why. Ask the recruiter for honest feedback. We don’t want to hurt anyone’s feelings, but if you don’t understand why you aren’t doing well, I’ll give you an answer. I will give them as much of an answer as I can. The resume can look perfect but at the end of the day, it’s rapport, soft skills, and whether or not that person can connect with the person they are interviewing with, otherwise they won’t get the job. There may be 4 or 5 people with great resumes, but it’s about that person who simply clicked better with the interviewer. If there is someone who is dynamic and connected well with the hiring manager, the hiring manager will take a chance with that person because they want to work with him or her. So if you are working with a recruiter, ask them, why is this process going this way? Ask for illicit feedback. Be willing to say, “I want the honest feedback.” We don’t always want to give it though, because we don’t want to make them feel bad. The company probably won’t give you honest feedback, but the recruiter may. Candidates should ask anyway about what they should be working on. 12. 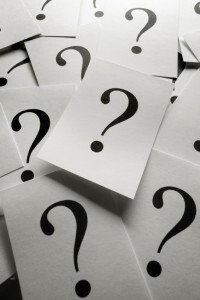 From your experience, what are the reasons as to why a candidate won’t get the job? Make sure you are qualified for the job you’re applying for. Don’t just apply for everything. Make sure you’re qualified, make sure you check most of the boxes; usually the first 3 bullet points are the most important to the client. If you have a chip on your shoulder, or you are noticeably aggravated with going on so many interviews, or those that make demands. For example: “I can’t do this job for less than $x.” Yes the interview goes both ways but it’s a give and take, go in with a positive attitude, go in with the right attitude. Lack confidence – You may not bond with everyone you interview with, but be friendly to every single person you meet there. I have had candidates go in and be rude to the Admin. When you do that, it will get back to people. You don’t decide who is worth being nice to. Be nice and respectful to everyone you encounter in an interview. Don’t be rude, if you aren’t nice I won’t want to send them to more interviews. Be confident, friendly, and approachable. Treat others with respect – everyone you encounter. Answer the questions they are asking you. If they are asking how you grew the business, have examples prepared to give. Tell a story. That makes it tangible to the person interviewing you. Offer specifics on how you did something. Don’t get flustered. Take a minute and think before you answer. 13. What do you see as the reasons why someone does get the job? They are qualified and interested, they meet the mark of what the job asks for, but they are interested and excited and it comes across in the interview. Enthusiasm easily comes across. They created rapport with the person they interviewed with. 9 times out of 10, when it’s between candidates, it will be the one they want to work with, the person they felt they connected the most with. You can’t always control chemistry, it’s part of the process, but 9 times out of 10 that’s why they get the job over someone else. They are engaged in the process all throughout, and they did the appropriate follow-up. The thank you emails, or note, to everyone they’ve met with. Get their business cards, get their names, send follow-up emails, and highlight something you talked about. If the hiring manager says they are going on a vacation, tell them to have a great vacation. Let them know you were listening, people want to be heard. 14. What is the most important question a candidate can ask of their potential hiring manager? It depends on what‘s important to them. Some examples: What are the challenges in this role? How is success measured? What does success look like a year from now? Ask more than one person to make sure that the answers you receive are consistent. If you’re not getting consistent answers, it’s something you may want to know. If they have competitors, what differentiates them in the market? It can be a tricky one to see how they view themselves. The company culture is important to find out about. Make sure to ask how they would define the culture there. 15. What should candidates look out for while interviewing for their desired position? It’s hard to flat out ask this, but ask some questions that you need to make the right decision. The reason people fail in the first year is because they are not a cultural fit. A lot of people also fail because at the end of the day, if the company is not that invested in the position, the new hire is not always given the resources to be successful. Pick up on cues as to how bought in people are to this role, and have a sense that people are bought in and invested in the success of the position. It will either make them feel that they failed when they were set up for that to begin with, so it had nothing to do with them. Or it will be blamed on them when the company didn’t set them up for success. 16. Is there anything else you would like to share with job seeking candidates? It’s a tough market right now. It’s a tough economy and it’s hard to not be discouraged, but try not to be discouraged. Go into each process and give it your best. So many people are really frustrated because the economy is so bad, so try to keep your chin up, and just continue to keep at it. Suggestions to do that, if you are unemployed, put aside time to network and network with everyone you know. You never know who knows someone. Put the word out there that you are looking, and also take time to not job hunt. Workout, do other things that you enjoy so you don’t feel like a failure every day. Stay healthy and maintain balance. Looking for a new job can be stressful, so try to find some balance in the day too. It can be a long process. I thinks it’s getting better and companies are hiring again, they are less scared. 2008-2009 was bad and people went on hiatus. Things just stopped and it was tough. Now that I’m so busy again means that people are hiring again and they are looking for good people. I sometimes get emails from people I forgot about. So every few months touch base with us, don’t inundate a recruiter, but let them know you are still looking. Persevere and be persistent without bugging them. Watch out for the balance. Let the recruiter know that you are out in the market but don’t bother them every day. Let them know you are still actively looking and how your search is going. Even though I have been doing this for 10 years, I am still learning too. Things are always changing. There are a lot of good resources out there. **If you are interested in career coaching and would like the support while you are interviewing, acclimating to a new position, preparing for a promotion, recovering from a poor performance appraisal, or you just want to improve your leadership abilities, contact me to schedule a complimentary consultation at alanna@i-love-my-life.com. Workaholism – Being a workaholic as a strategy – to what?